Purchasing this kit completes the following 2 items. Admission seat to the class on April 27th 2019 9am to 11am. 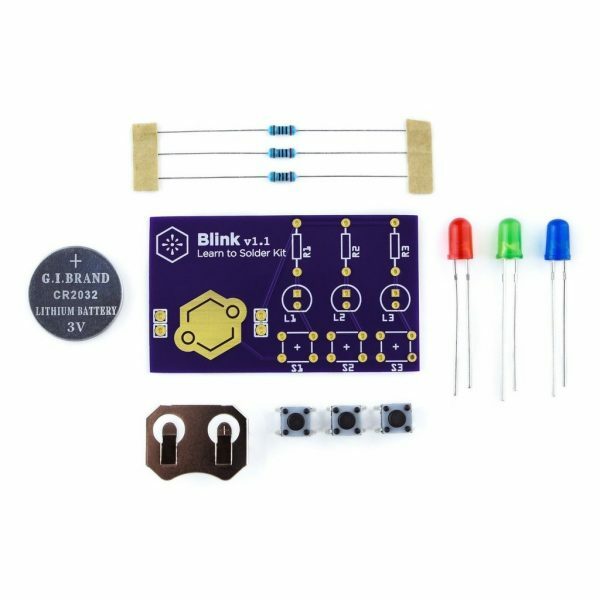 The kit, soldering iron and solder will be provided to you at the time of the class. You will receive an email with confirmation of your class admission. This Learn to Solder class is a joint effort between Arch Reactor and St. Louis and Suburban Radio Club. The class will be held at Arch Reactor’s maker headquarters April 27th 9am to 11am. If you have a soldering iron and would like to bring it, please let us know when you receive your confirmation email. Kit, soldering iron & instructions will be provided.